Audi’s range of saloons, sports utility vehicles, sports cars and compacts holds a car for every automotive enthusiast. 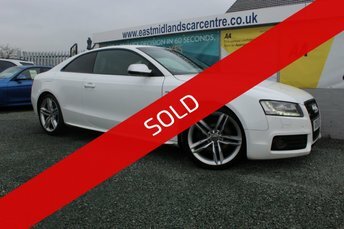 Boasting high-performance and careful craftsmanship, Audi vehicles are difficult to rival and here at East Midlands Car Centre, you will find an enticing selection of used motors from this manufacturer. We also have a fantastic team of finance specialists who have access to the most competitive rates on the market and can help you find an excellent finance package, tailored to you. Explore our showroom in Lutterworth today to see if we have the Audi for you.